Squarebike is a mobile bike service and bike repair provider covering areas from Guildford to South London. We offer a quick, high quality cycle service and cycle repair. 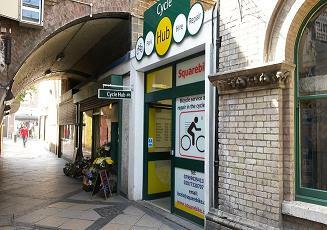 Our workshop is located at Peckham Rye Station cycle hub, ready to service and repair most types of bicycles. No call out fee of the coverd locations, subject to a minimum labour charge of £15.